Privacy, woods and walking distance to Bike trails and a Park! New Construction at its finest in this Large Open Concept Home! Large Lot in this Highly Desired area of Altoona! New Construction Home conveniently located between Chippewa and Eau Claire! Return to all blog posts. This Large Ranch home has many Amazing features & a great Location! Just what you are looking for in Highly desired Putnam Heights! This Elite home sits on 1.5 acres with Paint Creek running behind it and into Lake Wissota! Stunning custom built home in highly desired River Prairie Estates! Private wooded property with 6.94 acres and an extra detached heated Garage/shop. Rural Setting on 5.2 Acres, easy access to Chippewa Falls & Eau Claire! Plenty of Room in this Chippewa Falls Ranch Home! Spacious Backyard and Lots of updates throughout this Ranch home! Beautiful Move in ready Ranch home with Amazing backyard privacy! Pristine Condition home in highly desired South side Eau Claire! Large Ranch home in highly desired Putnam Heights! Just what you're looking for in a Ranch home & a Private Backyard! This Amazing End unit Condo offers Zero entry Access! Comfortable floor plan in this clean, affordable house. Great curb appeal with this 1.5 story home featuring plenty of space and amazing backyard! Check out this Move-in Ready Ranch Home in a Great North side Neighborhood! Move-In Ready Condo on the South side with lots of upgrades! Beautiful Large Ranch home in a highly desired North side location! Two Story brick home in Chippewa’s highly desired West Hill! Plenty of Great Space and Privacy minutes from Town! Move in Ready home with Tons of space! Great Northside New Subdivision location! 2018 New Construction features a Great Floor plan! Beautiful Updated Ranch on 4 acres just outside of Eau Claire! Large Multi-level Home in town on a Private Lot! Check out this Ranch home in the highly desired Putnam Heights Area! Large multi-level home in a highly desired West side Eau Claire neighborhood! Custom built, Executive Home with Beautiful Attention to Detail throughout! Very nice, freshly Updated Home located on the Outskirts of town! Amazing, Move in Ready Ranch home with tremendous Privacy in town! Beautiful, Move in Ready home in Eau Claires highly desired South side! Truly an Amazing Find in this Home with Lots of Updates! Stunning Newly Built Home in a Highly Desired Location on a Large Lot! Lots of Privacy and a Great Location on a dead end street! Charming Log Home on Paint Creek with 1.5 acres and access to Lake Wissota! Check out this Private, Tucked away Home right in the City with Tons of Updates! This Cute Bungalow is the perfect Tiny home! Quiet Setting and Walking trails into Nature on 4.9 Wooded acres! New Construction at its finest! Large open concept with custom white cabinets & granite counter tops. All the Beauty and Splendor of Lake Holcombe awaits you with this Gorgeous Waterfront home! Lots of space in this Cute 2 story Home! Check out this hard to find home with lots of space & a huge yard. Great location with easy access to downtown and bus route! This condo features Easy Access to a Walking trail, a Pond & views of two Water fountains. Great Altoona Location with Easy Access to Bike & Walking Trails. Enjoy the Beautiful Lakeside Views from anywhere on this property! Great south side location overlooking Pine Meadows Golf course! Ranch Home in a Great Altoona location with private Backyard! Nice North side location offering a large Fenced back Yard! Three bedroom ranch home in highly desired North side location. Just like new! 2016 built home in highly desired South side location. Enjoy this double lot with a great yard and location! Terrific North side Ranch home located on a dead end street! Beautiful Ranch home with an ideal Layout & Great West side location! Beautiful Country Setting on 3.4 acres and Just Minutes from town! New Construction from Team Tiry Real Estate in Great west side Location! Looking for a ranch home in the highly desired East Hill? Here it is! There's a lot to Enjoy in this 2006 built home on 4.96 wooded acres overlooking Five Mile Creek! Freshly updated Ranch home in great North side location. All Ready to Move into this Large Ranch home in a Great Westside Location! Just what you are looking for in a Lake front home! Beautiful Views & a Spacious yard! Take a look at this Beautiful Country Style home Just Listed with Team Tiry Real Estate! Stunning Ranch home in the Highly Desired Princeton Valley with views of the Golf Course! 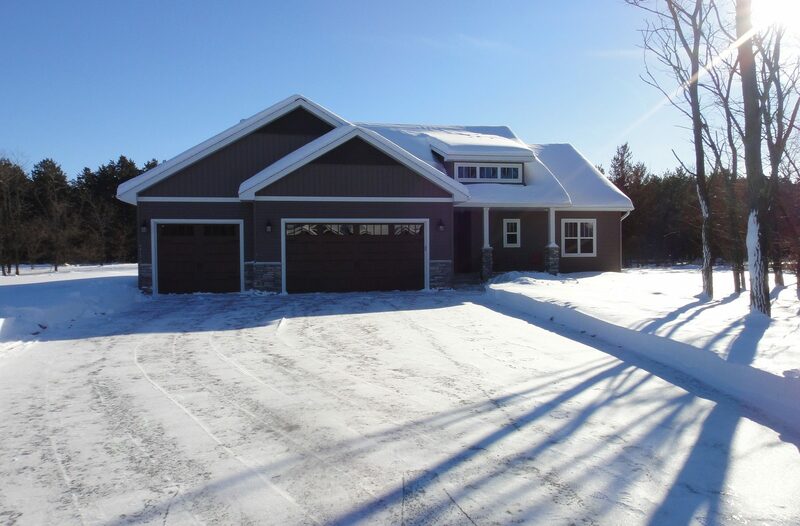 New Construction with a Great Floor Plan in Chippewa Falls. Great House on the Southside of Eau Claire from Team Tiry Real Estate! Custom Built Home with a Hill Top View in Chippewa Falls. Great Ranch home with Nice Updates from Team Tiry Real Estate! Nicely updated multi-level home with a Southside location on a cul-de-sac! Gorgeous Waterfront Home on 1.5 acres! Everything you want in a Chippewa West Hill home from Team Tiry Real Estate! Beautifully Renovated Home with Amazing Backyard Privacy! Nicely Updated Bi-Level on Large Lot from Team Tiry Real Estate! Amazing House in Eau Claire from Team Tiry Real Estate! Lots of wood floors and character in this Home from Team Tiry Real Estate! A Nice Open Concept Putnam Heights ranch home from Team Tiry Real Estate. Larger Ranch home in highly desired Fall Creek location with Great backyard space. Move in ready Ranch home on Eau Claire’s Southside. Look at this Ranch home in the highly desired “Planets” area on the North side of Eau Claire! Just minutes from Eau Claire with Privacy and a Country feel! Everything you are looking for in this Open Concept Energy Star Certified home! Enjoy with this home located on a wooded 4.96 acres overlooking Five Mile Creek. Mint condition, single home condo from Team Tiry Real Estate, LLC! Check out this beautiful Home on 10.93 Acres from Team Tiry Real Estate, LLC! Convenient Altoona location and right across the street from a Park! Everything you want in a new home…. from Team Tiry Real Estate! Move in ready home in highly desired Southside location from Team Tiry Real Estate! View this Home on 5 acres near Bloomer from Team Tiry Real Estate! Check out this cute house with amazing backyard space! See this Home in the Highly desired area of Eau Claire from Team Tiry Real Estate! Check out this House with Lots of room from Team Tiry Real Estate! Enjoy this Awesome Ranch Home from Team Tiry Real Estate! Amazing Natural Lighting in this Altoona home from Team Tiry Real Estate! Gorgeous house on 5 acres, close to Eau Claire from Team Tiry Real Estate! Amazing custom built log home From Team Tiry Real Estate! Everything you want in a house… great location & privacy! Nice Home in a Convenient location, Just minutes from downtown! Cute House on Eau Claire's East Hill from Team Tiry Real Estate! Many Updates in this Elk Mound Home from Team Tiry Real Estate! Simply STUNNING property featuring 78 acres from Team Tiry Real Estate! Check out this Cute House from Team Tiry Real Estate! Amazing Setting for this Spectacular House Listed by Team Tiry Real Estate! Private Setting on 5 Acres newly Listed by Team Tiry Real Estate! Great privacy & lots of trees on this Westside Location from Team Tiry Real Estate! GORGEOUS house in Elk Mound on 2+ acres from Team Tiry Real Estate! Check out this new construction home offered by Team Tiry Real Estate. New Listing in a highly desired South side location from Team Tiry Real Estate, LLC! Gorgeous views from this 4 Season Cottage on Lake Eau Claire! Huge Master Suite in this Chippewa Falls Home from Team Tiry Real Estate! New Listing in Great Altoona Neighborhood! Great Ranch in Lake Hallie from Team Tiry Real Estate, LLC! Great House with Huge backyard from Team Tiry Real Estate, LLC! Pristine condition Ranch home with Amazing Hilltop views! Beautiful Home by Hickory Hill Golf course on 1.5 acres! New Waterfront Listing on Lake Eau Claire from Team Tiry Real Estate! Spacious Home with Beautiful Landscaping from Team Tiry Real Estate! Gorgeous House on 1.5 acres, 10 minutes from of Eau Claire! Stunning Home on Desired Southside from Team Tiry Real Estate! Amazing home in a highly desired Southside location. New Listing on Southside from Team Tiry Real Estate! Amazing East Hill Home from Team Tiry Real Estate, LLC! Beautiful Home in Eleva from Team Tiry Real Estate, LLC! East Hill Charm & Ready to Move In! Custom Built Home in Eau Claire from Team Tiry Real Estate! Tons of Charm in this East Hill Home from Team Tiry Real Estate! Custom Cabinets in this New Construction from Team Tiry Real Estate! Incredible House on 1.6 Acres just South of Eau Claire! Private Getaway on 20 Acres in Chippewa Falls! Amazing House In Osseo from Team Tiry Real Estate, LLC! New Listing for Team Tiry Real Estate, LLC! Gorgeous House in a Great Neighborhood! New Construction Completed by Perks Construction! New Construction from Team Tiry Real Estate, LLC! New Waterfront Listing on the Chippewa River. Just Listed with Team Tiry Real Estate, LLC! Great East Hill home listed by Team Tiry Real Estate, LLC! Amazing Condo Just Listed by Team Tiry Real Estate, LLC! Cute Home Just Listed by Team Tiry Real Estate, LLC in Eau Claire. Charming Home in Chippewa Falls from Team Tiry Real Estate, LLC. 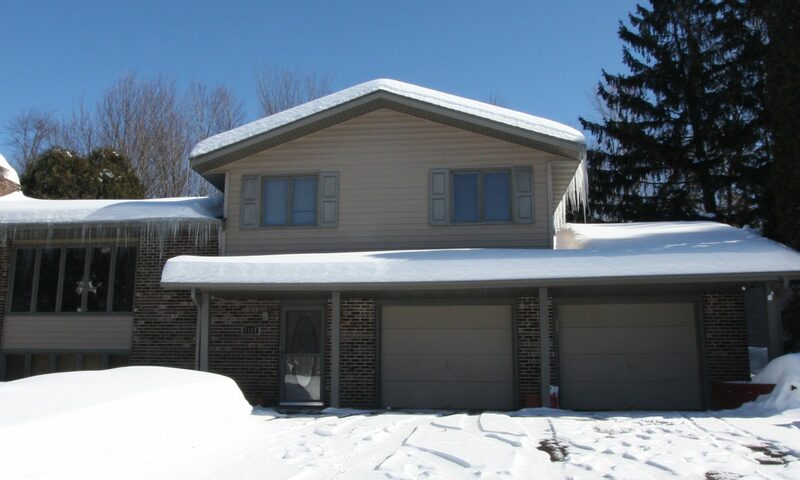 New Listing in Eau Claire from Team Tiry Real Estate, LLC! Tri-Plex in Fall Creek from Team Tiry Real Estate, LLC! Just Listed, a New Construction property with Team Tiry Real Estate, LLC! New Construction Listing from Team Tiry Real Estate, LLC! New Osseo countryside property from Team Tiry Real Estate, LLC! Home Offices are a must-have home Feature! Before and after photos of a Bathroom! Cute Idea for the Garden! Decorative Door to Add color to Pantry. Open Houses, Saturday Feb. 7th from Team Tiry Real Estate, LLC! Superbowl food idea! Fresh fruit! A Bookcase with Hidden Gun Cabinet! The Lismore Hotel coming to Downtown Eau Claire! Secret Compartments for Gun Storage! Use Pallets to Create a Great Space! Great ideas for Drop Ceilings! Sat., January 24th Open Houses from Team Tiry Real Estate, LLC! Gorgeous New Construction Home From Team Tiry Real Estate! Great Idea on How to Add a Headboard! Open Houses in Eau Claire from Team Tiry Real Estate! Great Storage Idea for Cookbooks! Home heating oil is now cheap, but natural gas is even cheaper! Packer cupcakes for the game! Cute idea for Packer food this Sunday! The FHA Just Cut a Major Expense for New Homebuyers! Everyone Can Use More Storage! Renters paid $441 billion in 2014: Time to buy? What a Neat Way to Hang Photos! Space Saving Furniture: Sofa and a Bed! Weekly Money Saving Tip from TeamTiry Real Estate! Homemade Edible Gifts for Christmas! Homemade Christmas gift, Photo Coasters! Millennial employment, mini baby boom could lift 2015 home sales! The 3% down payment mortgage makes a comeback! Getting a Mortgage is about to get Easier! Weekly Money Savings Tip from Team Tiry Real Estate, LLC! Green Beans with Cranberry and Almonds! First-time homebuyers abandoning the housing market! Weekly Money Savings Tip from Team Tiry Real Estate! Creative way to decorate a Pumpkin. Brackett Avenue to open with only two lanes of traffic. 30-year mortgages back below 4%, but for how long? Great Hiding or Storage Spot for your Home! Do Home Sellers Need To Disclose Paranormal Activity? Weekly Money Saving Tip from Team Tiry Real Estate! City of Eau Claire sets trick-or-treating hours! Team Tiry won Best Realtor in Volume One Magazine's Best of the Chippewa Valley! College grads face high hurdles to buying first homes! Rehab Center and Senior Facility to be built in Altoona. Price Reduced! Southside of Eau Claire with 3.36 acres! Vote for Team Tiry in Volume One's Best of the Valley! Vote for Team Tiry in the Volume One Best in the Valley! HUGH Estate Sale August 1-3. WeeklyMoney Savings Tip from Team Tiry Real Estate! Weekly Money Saving Tip from Team Tiry Real Estate, LLC! This is how pots and pans should be stored. A Great, Cheap way to make an End Table. Going Green with your Cleaning Products! Price Reduced Home in Eau Claire from Team Tiry Real Estate! Saving for a Home: How Much Is Enough? Weekly Money Saving Tips From Team Tiry Real Estate! Great Information on Spring Home Repairs from Team Tiry Real Estate! Great DYI to Improve the look of your Ceiling! Updates to this Home in Eau Claire from Team Tiry Real Estate! 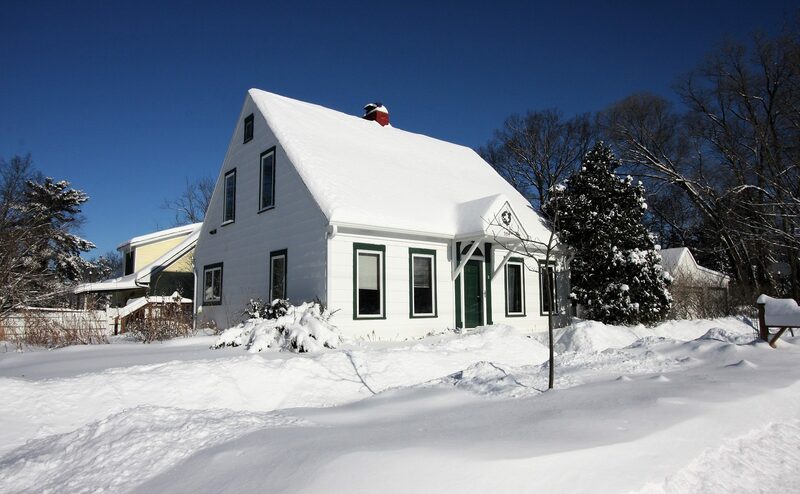 Home Prices Rise at Solid Pace in January From Team Tiry Real Estate! Less Foreclosures in our Market compared to Years Past! Extra Money Tip for this week from Team Tiry Real Estate! Great information about Home Equity Loans! Safety Tip from Team Tiry Real Estate! Fuss Free House Plants Ideas from Team Tiry Real Estate! Chippewa Valley Home Builders Home & Garden Show! Important Information if you are thinking of Investing in Real Estate! Money Saving Tip from Team Tiry Real Estate! What Young Buyers are looking for in a Home! Great Decorating and Staging Idea from Team Tiry Real Estate! Delicious Desert Idea from Team Tiry's Pinterest Page! Helpful Moving Idea from Team Tiry Real Estate! Great Christmas Gift Ideas on Team Tiry Pinterest Page! Money Saving Tips for the Kitchen from Team Tiry Real Estate! Great Deer Facts posted daily on Team Tiry's Facebook Page! Great Home Improvement Ideas on Pinterest! Yummy Treat for the Holidays! Great Idea for Homemade Baking Mixes! 10 Things that Turn Away Home Buyers! 5 Reviews for Team Tiry Real Estate In Eau Claire, WI! Holiday Decorating on Team Tiry's Pinterest Page! Open House in Eleva from Team Tiry Real Estate! Open House in Altoona from Team Tiry Real Estate! New Ideas on Team Tiry's Pinterest Page! Team Tiry won Best of the Chippewa Valley for Best Realtor! Team Tiry Is On the Preferred Realtors list for Eau Claire, WI! Great Tips - How to Hide your Valuables from Thieves. Perfect Scent to Help Sell Your Home! Lots in Altoona Now Listed & Available for Sale! Find Foreclosure Listings on TeamTiry.com! Open House from Team Tiry Real Estate! River Prairie is Building Up! Fall Decorating Ideas Posted on Pinterest! Team Tiry Now has a Pinterest Page! Vote for the Best of the Chippewa Valley! Open Houses for Team Tiry Real Estate! Ingenious idea for towels storage! Smartphone photo tracking concerning parents! Lake Front Property From Team Tiry Real Estate! Great Money Saving Tips and Simple Meals/Desserts. The Parade of Homes in the Eau Claire! Going Green Can Be Simple! 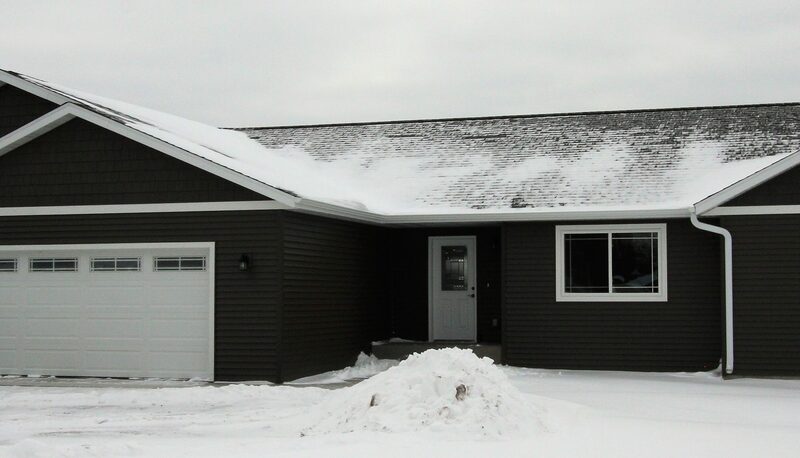 A new Eau Claire house is listed with Team Tiry!